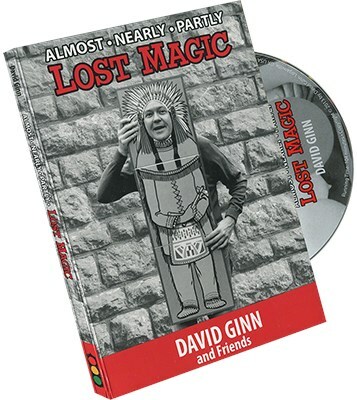 These out-of-print David Ginn books sold thousands of copies, and now you can get them as downloads from dealers. But how can you see the magic inside? LOST MAGIC is the answer! In the months before back surgery 2011, David amused himself (and kept his sanity) by shooting "basement videos" of the "unpublished" tricks with help from neighbor kids. Now he has carefully edited 40 clips from the past showing this wonderful magic!